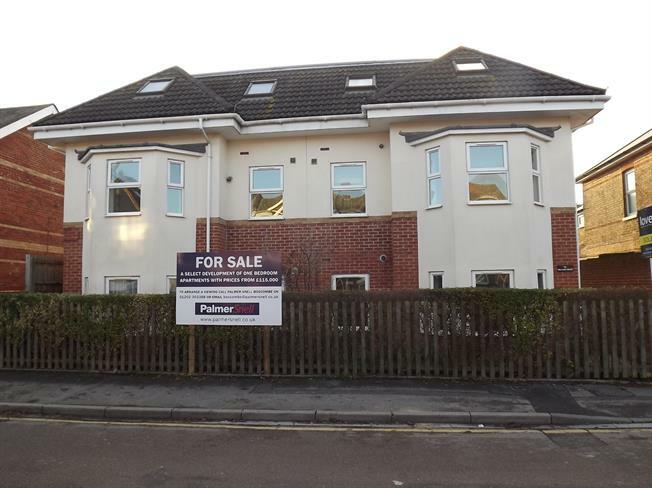 1 Bedroom Flat For Sale in Bournemouth for Asking Price £125,000. A purpose built first floor flat built in 2009, one of only seven in this modern development designed in keeping with the surrounding properties to include a number of features such as deep walk in bay windows. The accommodation offers a large entrance hall with useful store cupboard also housing the gas boiler, a super double aspect lounge/diner with walk in bay open plan to a separate modern fitted kitchen which includes a built in oven and hob. There is a double bedroom, spacious bathroom with shower over bath, part-tiled walls and floor and ladder radiator, gas central heating via radiators, uPVC double glazing, bike store, bin store and small communal garden to the front and rear. No onward chain.